Palm sized, Powerful and Easy to use. 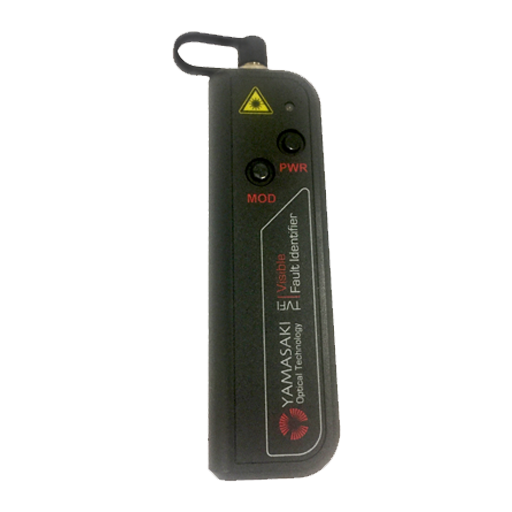 The Yamasaki TVFI Visible Fault Identifier is a practical palm sized solution for finding breaks, bends and faulty connectors or splices in fiber optic cable. 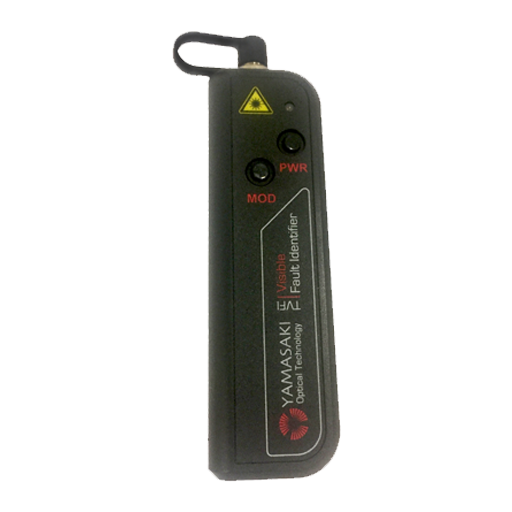 The Yamasaki TVFI Visible Fault Identifier is an essential tool that any fiber optic installer or fiber optic technician should carry. It works by shining a an extremely bright 1mW Class 2 laser through any fiber optic cable, causing all cracks, splits or leaks to glow a brilliant bright red. The laser can also be made to flash quickly (Modulate) to aid in fiber optic fault location.